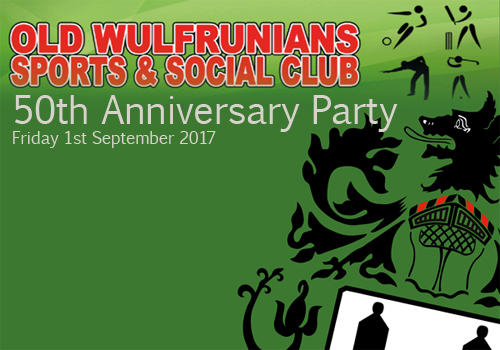 The Old Wulfrunians Sports and Social Club at Castlecroft will be celebrating the 50th anniversary of the opening of the clubhouse on Friday 1st September 2017. Established in 1951 the original members met in rented rooms above Barclays Bank in Queen Square, Wolverhampton, commissioning a new purpose built clubhouse on its present site in 1967. It has been home to football and cricket teams ranging from junior through to senior and veterans over the years. They would love to see as many former/current players and friends of the club join them for an informal evening of 1960s music and memorabilia (dressing up for the occasion is optional!). For more information contact 01902 761410 or click here to go to the their website.